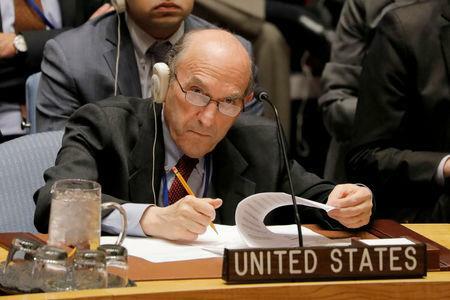 MOSCOW (Reuters) - United States Special Representative for Venezuela Elliott Abrams and Russian Deputy Foreign Minister Sergei Ryabkov are due to meet in Rome this week to discuss the situation in Venezuela, diplomats from the two countries said. Venezuela, a close ally of Moscow, is in political turmoil. The United States and many other Western countries back Juan Guaido, head of the opposition-controlled National Assembly who invoked the constitution in January to assume an interim presidency, while Russia says President Nicolas Maduro remains the country's only legitimate leader. Washington says Moscow is propping up Maduro's administration. But U.S. diplomats say there could come a point where Russia decides that Maduro's rule is beyond salvaging. 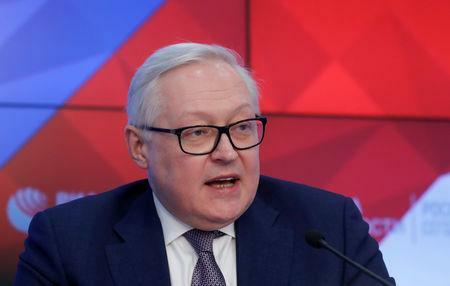 Russia's Interfax news agency cited Ryabkov on Sunday as saying that the main day of talks with Abrams would be on Tuesday and that the two sides would discuss how they might encourage negotiations between the Venezuelan government and opposition. "The positions of Moscow and Washington on this question are diametrically opposed, but that's not a reason not to talk," Interfax quoted Ryabkov as saying.